Halloween doesn’t have to be all fright for small kids. 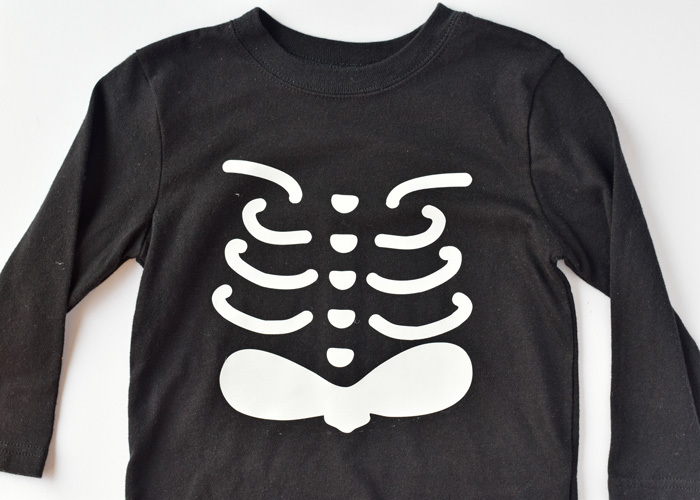 These Cute Skeleton Halloween Shirt for Kids are easy to make with heat transfer vinyl. This post contains affiliate links, which include no additional cost to you, but help support this site. Heat transfer vinyl shirts are great for holidays, especially for Halloween. Remember the Frankenstein shirt that I made my little man last year? He wore that shirt so many times, even after Halloween ended. This year, I used another ready-made image from Cricut Design Space to make this easy (and cute!) Skeleton Halloween Shirt. Open up Cricut Design Space and begin a new project. Insert this super cute image. Ungroup the image and remove the white background and the purple background. The heart is cute to leave if you want. If I were making it for my daughter, I probably would have left it and cut it with pink glitter heat transfer vinyl. But, since I was making it for my son, I removed the heart, too. Measure the front of the shirt where you want the skeleton to go. Enlarge the image to the desired size, keeping in mind that the rounded black section will be removed. Cut using the heat transfer vinyl and the Standard Grip cutting mat. Don’t forget to mirror the image, even though it is not crucial in this project because the mirror image is the same as the un-mirrored image. Weed (remove) the non-skeleton parts of the vinyl. 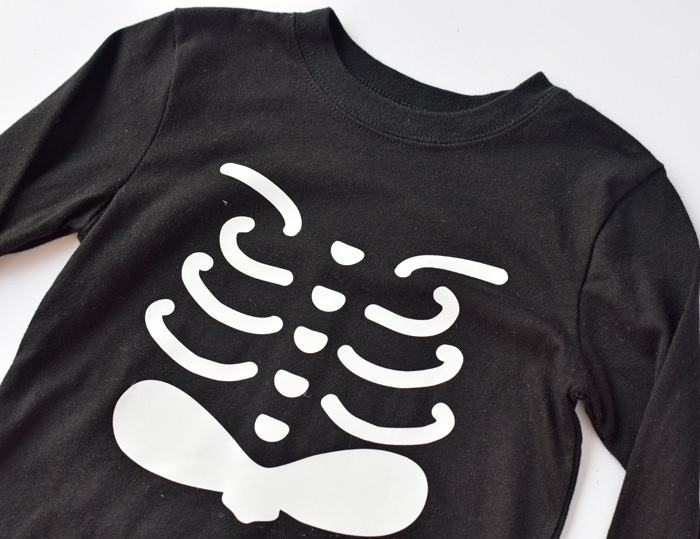 Using the instructions and tips in my How to Get Your Heat Transfer Vinyl Project Right the FIRST Time, adhere the heat transfer vinyl to the black shirt with an iron or Cricut Easy Press. 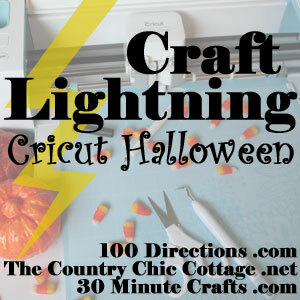 For more quick Cricut Halloween projects, check out Craft Lightning and my Cricut Tutorial and Project Page. LOVE this shirt! 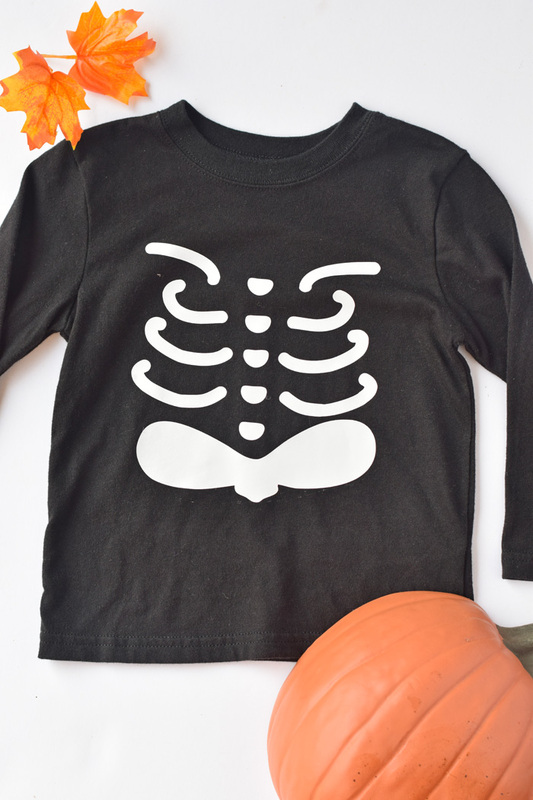 Such a classic Halloween idea, and I love that it was made on the Cricut! !